Discussions about David Pastrnak being a future All-Star began to catch wind on January 13th, 2015. It was the eighth game of his NHL career and the 18 year-old had just notched his second consecutive two-goal performance, leading the Bruins to an important 4-3 win over the Tampa Bay Lightning. Four years and two 30-goal seasons later, the man known in Boston as “Pasta” justified those early predictions with his first All-Star selection. At age 22, he’s tied for the fourth most goals in the NHL and is on pace for 50-plus by the time 2018-19 comes to an end. In other words, he’s begun to emerge as one of the best players in hockey. Stumbled a little out of the gate before sniping the last four in a row to finish in just over 11 seconds. He also dished out a beautiful assist in the 3-on-3 tournament on Saturday. 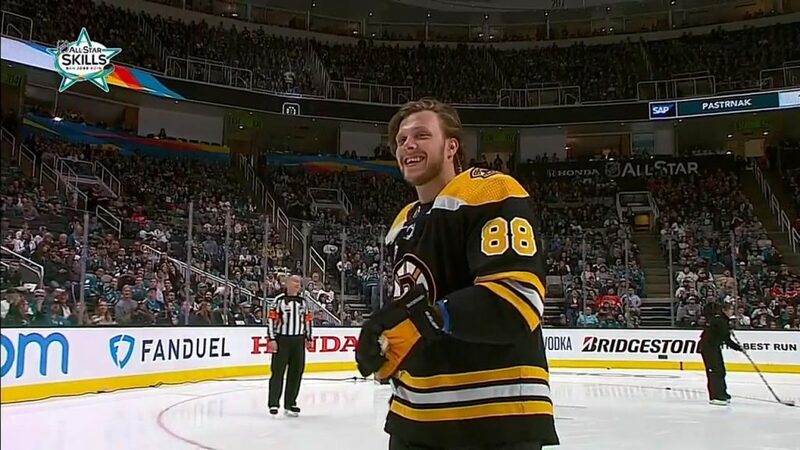 Pastrnak was the lone All-Star on the B’s, who are currently fourth in the Atlantic Division at 27-17-5. They’ll begin the second half of their season on Tuesday night at the Garden against the Winnipeg Jets. Puck drops at 7.